this is very good phone.but there are no 3g cam. [deleted post]Bravo SoLzz !! After long time I see someone fighting brick for brick. 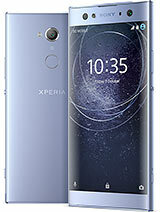 I am planning to buy this phone. But people here confuse a lot ! i have been using this awesome phone for 4 mnth which i bought used phone. i have done rooting changed rom,unlocked bootloader changed kernal and everythin and the phone works like a charm. if u guys have problem thats due to the rom u are using. Root it ....unlock bootlocker ....check xda forum....u have hell lot of roms....im using prime hd rom with alfs kernal.If u dont know to use an android shut up or ask for help. plz.plz. plz. quality of battery. talk tie. when using internet. frndz tell me the battery life when using youtube? plz.plz. plz. quality of battery. useless fone.. evrythng in my fone has been replaced aft a year.. n sony centers r useless too.. still the fone isnt working properly..
plz tell me what the best is. x8? vivaz? galaxy y? w8? yogesh, 10 Apr 2012It has quite poor battery backup, after sometime speed gets lowered, heavy in weight, don't bu... more!!! that's not true! i did like this phone,is the best from ericsson.i luv the phone.